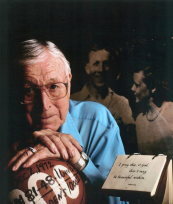 Quote By Coach John Wooden | David Bryant aka "Mr. Support Friend!" July 1, 2018 July 31, 2018 / David Bryant aka "Mr. Support Friend!" ← Words of Wisdom from Magic Johnson at Stanford University!